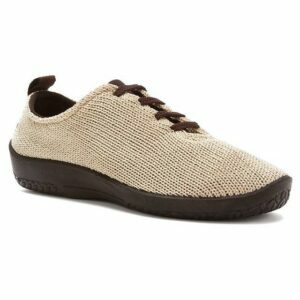 The Aetrex Caroline Brown is a classic mary jane from the Aetrex Essence Collection. This style features a premium suede upper with an elastic gore top line. It also features an adjustable strap closure for optimum fit. Equally important is the soft leather lining that is added for comfort and breathability. In addition, this shoes comes with patented Mozaic Technology for a more customizable fit. Simply peel away the mosaic tiles to suit your individual needs. Lastly, a rubber outsole will absorb the shock from walking and offer traction on a variety of surfaces. In conclusion, with all the above mentioned features it is easy to see why this will be your go to shoes for the season.